From the Doug Wright Awards website. Fiona Smyth, an artist and teacher known for her groundbreaking comics tackling female sexuality, and Alootook Ipellie (1951–2007), a multi-faceted artist, writer, activist, and cartoonist recognized for his satirical comics about Inuit life in Canada, will be inducted next month into the Giants of the North Hall of Fame for Canadian cartoonists. 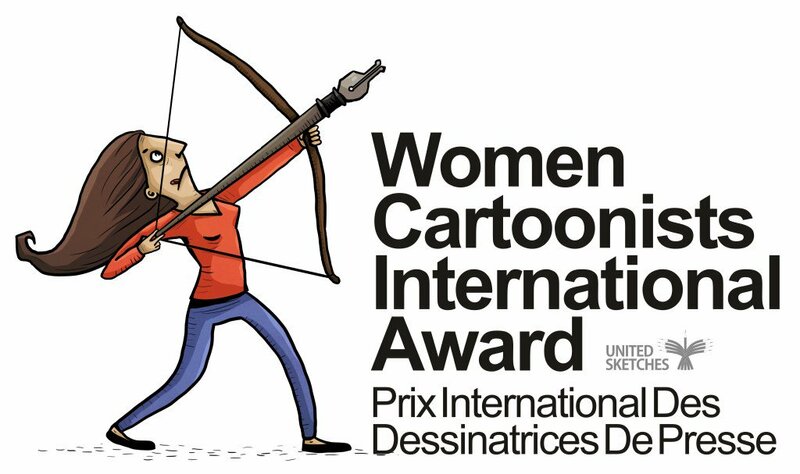 After months working on the concept and wonderful exchanges with Ann Telnaes, Marilena Nardi and Anne Derenne, United Sketches is honored to announce the very first International award dedicated exclusively to Women cartoonists. The Berlin Wall fell exactly 30 years ago and today we see new boundaries erected all over the world. 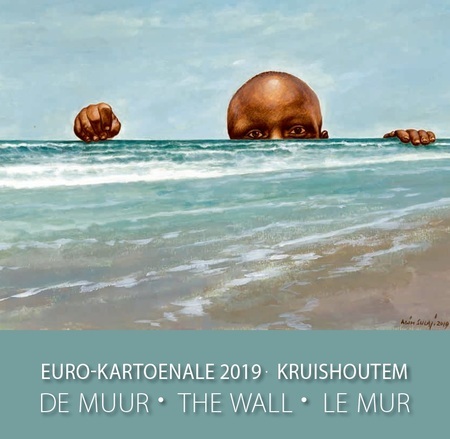 This inspired the theme for the 22nd edition of the Euro-kartoenale Kruishoutem: ‘The Wall - in all its forms’. From the Billy Ireland Cartoon Library & Museum website. 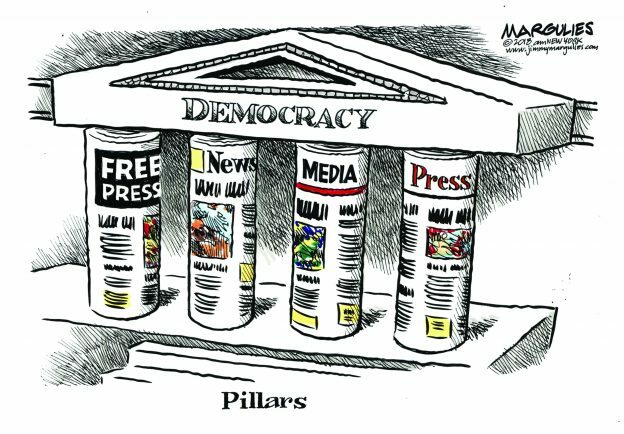 Pillars, Jimmy Margulies, August 16, 2018. What do current debates about social media, trigger warnings, fake news, and libel have to do with the First Amendment and editorial cartoonists? From the Billy Ireland Cartoon Library & Museum. 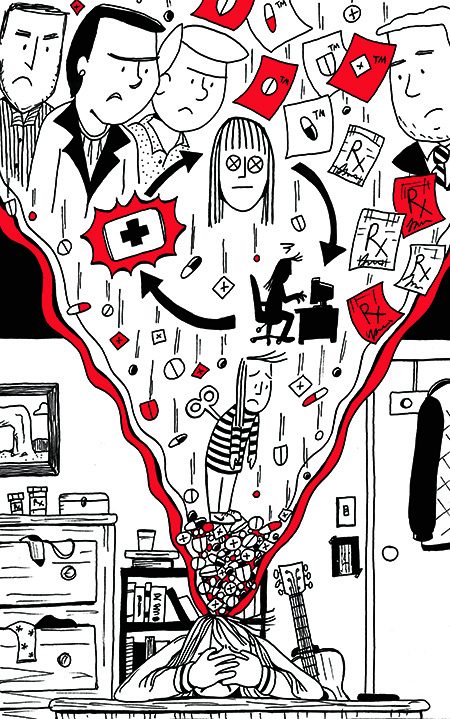 Drawing Blood: Comics and Medicine, curated by Professor Jared Gardner opens this Saturday, April 20th at The Billy Ireland Cartoon Library & Museum. From the Ohio State University Libraries website. 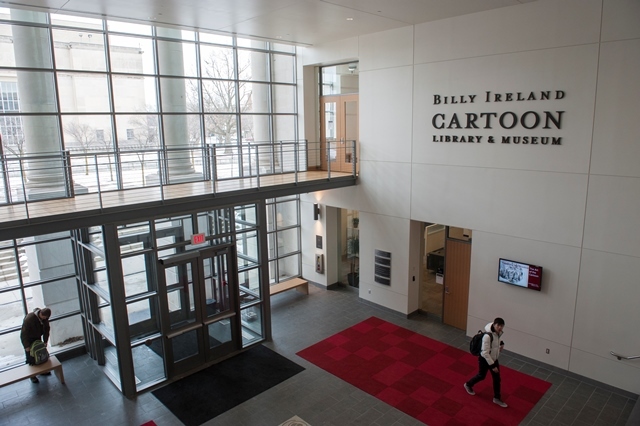 The Billy Ireland Cartoon Library & Museum (BICLM) has been recognized as the first Ohio historic journalism site selected by the Society of Professional Journalists, Central Ohio Professional Chapter (SPJ) and the E. W. Scripps School of Journalism. 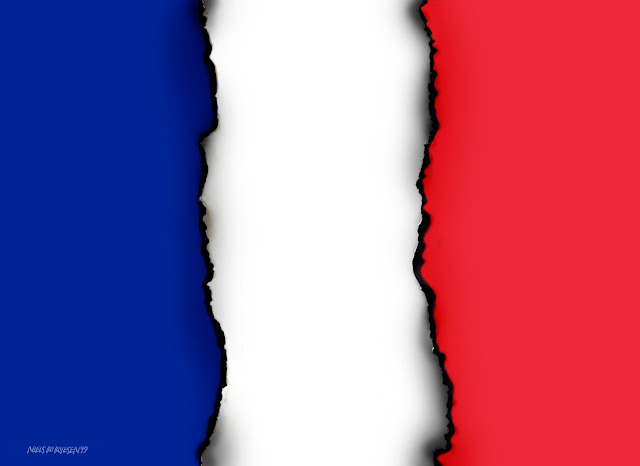 The fire that struck Notre Dame Cathedral inspired artists from around the world.